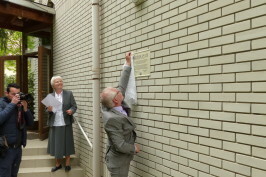 On 26 April the Society of Social Sister of Budapest (SSS) was declared “House of Life” by the Raoul Wallenberg Foundation. 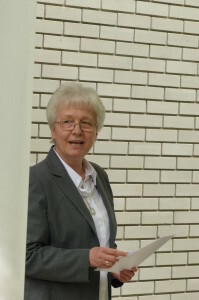 The Sisters of Social Service are a Roman Catholic religious institute of women founded in Hungary in 1923 by Margaret Slachta. The sisters adopted the social mission of the Catholic Church and Benedictine spirituality with a special devotion to the Holy Spirit. Ferenc Orosz, head of the Raoul Wallenberg Society of Budapest, spoke on behalf of The Raoul Wallenberg Foundation about the role and mission of the Houses of Life educational program. 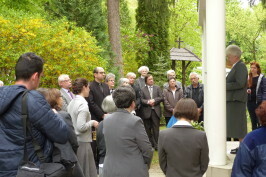 He mentioned the activity of the Holocaust rescuers, Wallenberg and others. He closed his speech quoting some thoughts from Pope Francis’ prayer on God Friday, and mentioned that the Pope is one of the founding members of the Raoul Wallenberg Foundation. 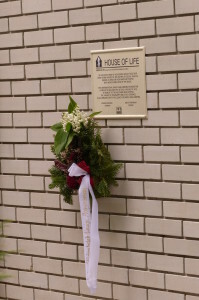 of the society, recognized by Yad Vashem; Sara Salkahazi, killed by the Arrow Cross people (Hungarian Nazis), beatified, recognized by Yad Vashem, and Katlin Roza Peitl, who led the rescuing activity at the very same place where the plaque was placed. The plaque was unveiled by Dr. Gabor Bagdy, Vice-Major of Budapest and President of the Christian Democratic Party in Budapest, and blessed by Dr. Janos Szekely, Catholic Bishop. 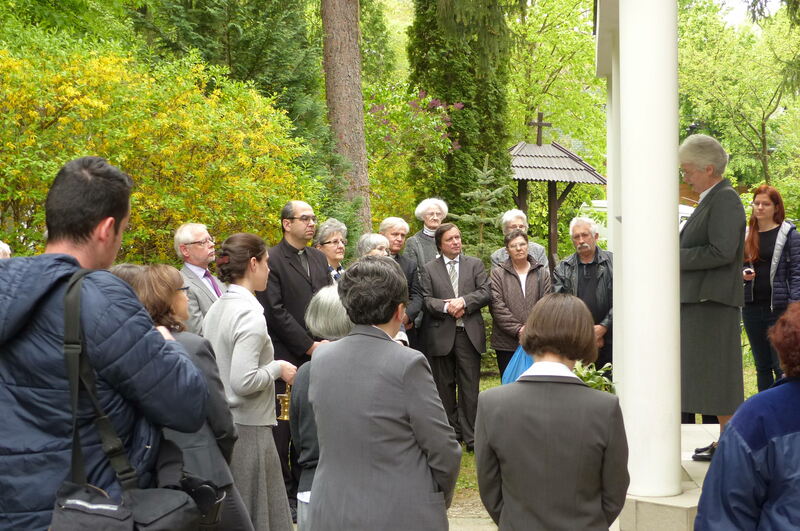 The event was attended by Dr. Jozsef Szecsi, general secretary of the Christian-Jewish Society, by Dr. Endre Bela Huff, executive of the RW Association and by Laszlo Ernyei, councilor of church issues, 2nd District of Budapest. 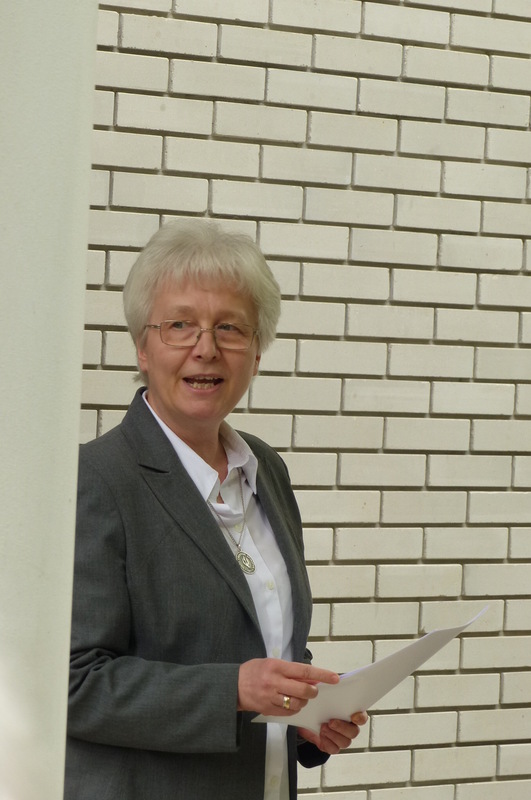 During the ceremony, Ms. Monika Kiss conducted works of chamber music by Liszt, Mozart and Vivaldi. 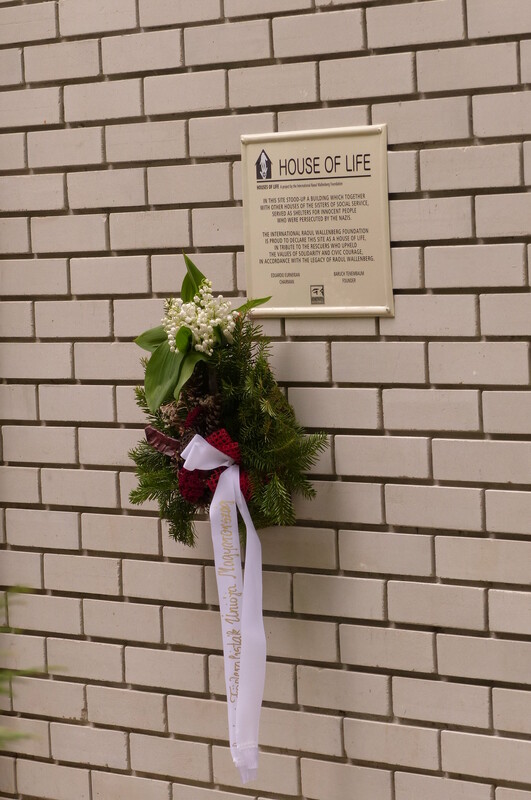 This is the first House of Life plaque in Hungary donated by the Raoul Wallenberg Foundation, an educational NGO chaired by Eduardo Eurnekian and created by Baruch Tenembaum.